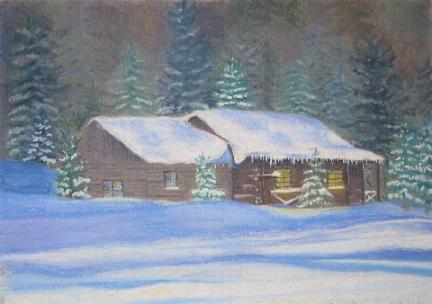 This is a painting of a log cabin my husband's family built 60 yrs ago. It was much loved & has many great memories made in it. I did this painting from a black & white reference.